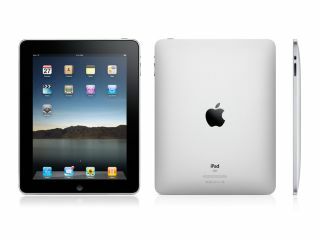 Vodafone has had a look at Jobs' new tablet, weighed it up and decided to throw out its data plan for the new Apple iPad 3G. What is interesting is that it's the only network to not offer the iPad 3G with pay as you go data - only monthly contracts are on offer. If you're interested in Vodafone's iPad microSIM (which is available from today, as the iPad goes on pre-order in the UK) then you're going to have to pick up a 30-day rolling contract. For £10 per month, you'll be getting 1GB of data, meaning you'll probably be doing some basic surfing and perhaps getting map-tastic when out and about. But for £25 a month, you'll be offered 5GB of data, meaning you can add in a few other web-heavy functions like a spot of online music streaming or iPlayer action. For those of you that like to head abroad with your shiny new toy, then you can pay £9.99 per day and get 50MB of data - a little steep, but a lot cheaper than just paying normal rates for data and being hit with a ridiculous bill. Weirdly, the Vodafone plan doesn't include Wi-Fi as part of the plan - when you consider that Orange will give you 10GB of data and 750MB of fair use Wi-Fi around the country for £25, the 5GB deal seems a little paltry. At least it tallies with Vodafone's phone data stance - perhaps now we'll properly see an end to the fictional 'unlimited data' tariffs networks are pretending to offer consumers.